I had quite a lot of interest in my previous post which dissected a lesson and the planning process behind it. 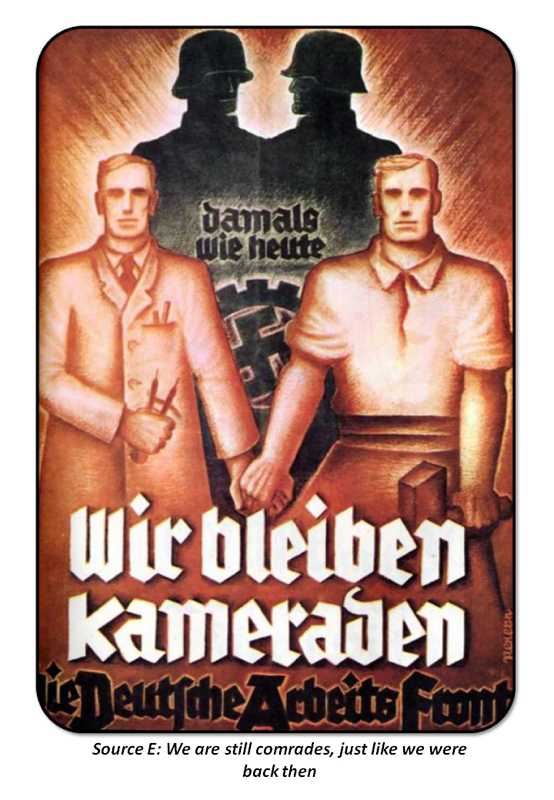 So here's another - this time on Hitler's aims for Germany. Lesson enquiry: What kind of Germany did Hitler want to build? Next up, I share the aims with students. I'm dividing this into what I want students to KNOW and what I want them to be able to DO. Then we're into the first task. I use some brief teacher exposition to identify Hitler's key aims and engage students' interest. To make effective use of time here, I then allocate students one of these three areas to read on in this textbook. I ask them to think about "What did Hitler mean by this?" We then feedback as a class and unpack each aim. Here, I'm also thinking about the poster analysis activity which is coming next, so I need to make sure I've laid the groundwork in terms of knowledge in order for the students to analyse the posters in a meaningful way. Now students are put into differentiated groups and each is allocated with a large copy of one of the posters to look at. There are six groups in total, each doing a different image. This is strictly time-limited, after which each group's annotated poster is displayed around the room. Students then do a one minute silent museum tour, in which they look at all the other groups' annotations. This is a time-effective way of exposing them to a range of different sources. Finally, I want to see what students are capable of and whether or not ﻿my objectives have been achieved. This time, it's a written task with differentiated success criteria tailored to the specific class. Written responses are collected at the end, marked and then returned to students for improvement the following session.